Chatbots had a rough start to 2016, with Microsoft’s Tay morphing from an AI sweetheart into a racist, sexist Holocaust-denier within a day. But these bots have nonetheless become one of the most prevalent expressions of AI today. Everybody is betting on them — Apple with Siri, Microsoft with Cortana, and Amazon with Alexa. The language-training app Duolingo recently released a bot that helps users practice a new language through natural conversation. Meanwhile, medical assistant chatbots are popping up around the world. 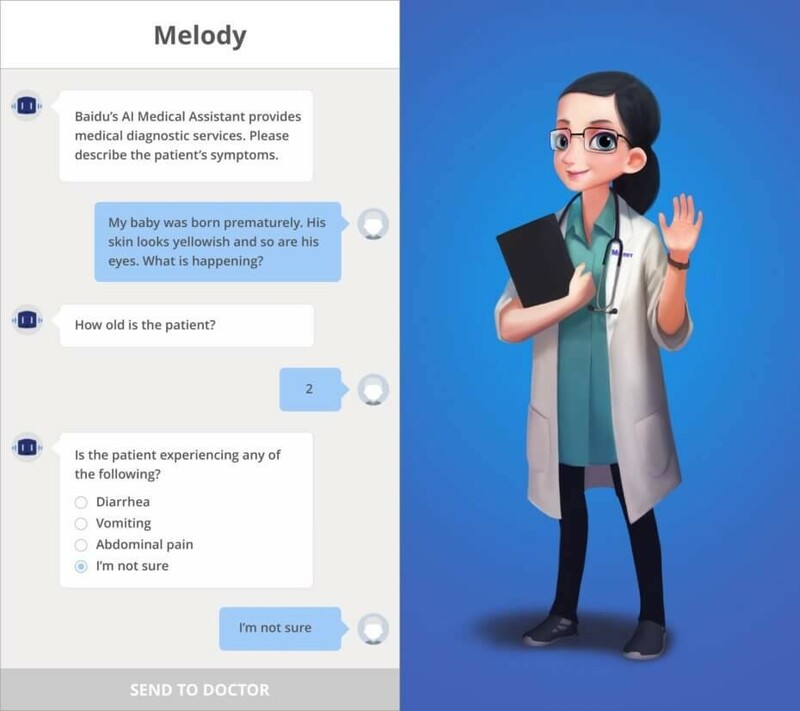 Baidu, China’s largest search engine, today announced Melody the Medical Assistant, an AI-powered chatbot designed to converse with patients and collect data on their conditions to save physicians time. “Baidu’s medical assistant uses deep learning to understand the patient’s initial query, and select additional questions to send to the user,” Wei Fan, senior director with Baidu Big Data Lab, told Digital Trends. Melody will be integrated into the Baidu Doctor app, which lets patients connect with their physicians to book appointments and ask questions regarding their medical condition. The bot will step in to query patients on things like the duration, severity, and frequency of their symptoms, and deliver this data to practitioners who can then make an informed decision on treatment. Like other companies in the chatbot realm, Baidu hopes its system can help alleviate doctor shortages around the world by freeing up physicians’ time for more essential tasks. To anyone worried about AI encroaching on our daily lives, Fan wants to be absolutely clear that Melody will not some day replace physicians.